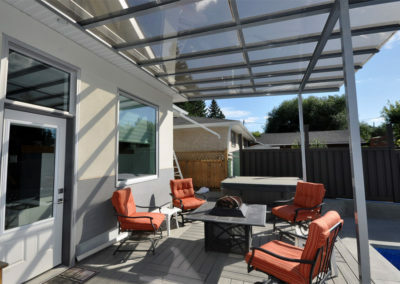 Our high quality, Canadian made patio covers are perfect for your backyard. 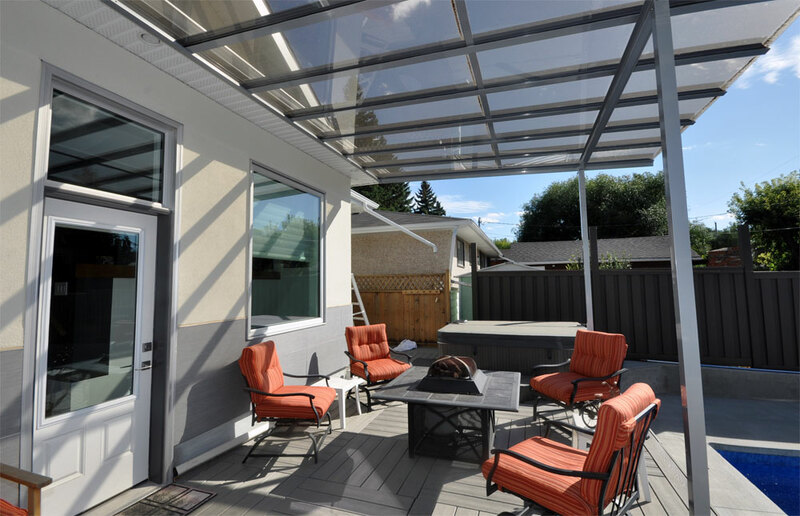 With a Lifetime™ patio cover, we’ve got you covered. 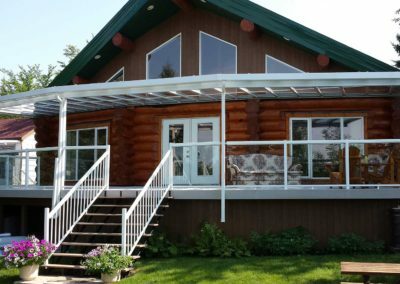 A Lifetime patio cover transforms your deck or patio into a pleasant, covered area for enjoying the outdoors while at the same time keeping the sun, rain, and snow off you and your patio. Always made to measure, our patio covers will fit almost anywhere: decks, patios, walkways, they can even be used as a carport. 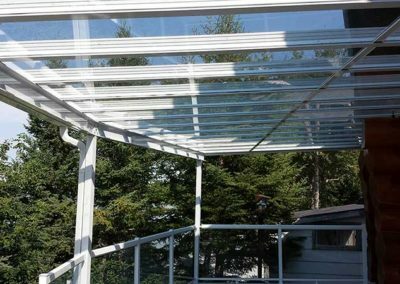 The Lifetime patio cover can also be used at a future date as the roof for a screen room or even a sunroom, should your needs change. 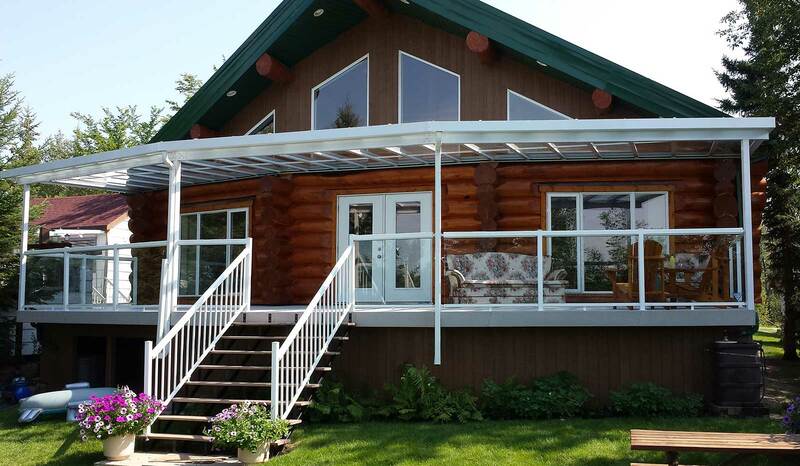 Made from maintenance free aluminum which you can expect to last a lifetime. 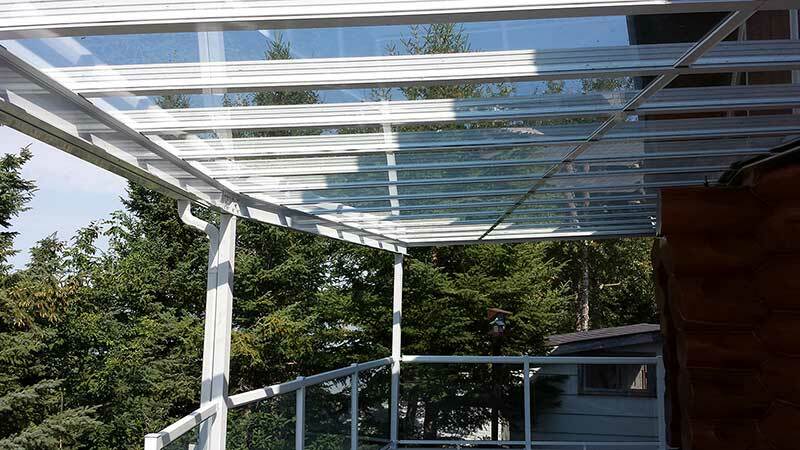 Solid roof pans, glass, or acrylic panels. Concealed gutter system built in for a pleasing, finished look. 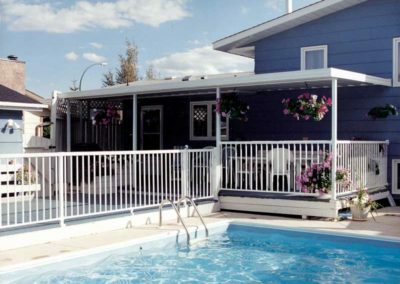 Supported by maintenance free aluminum posts and beams. 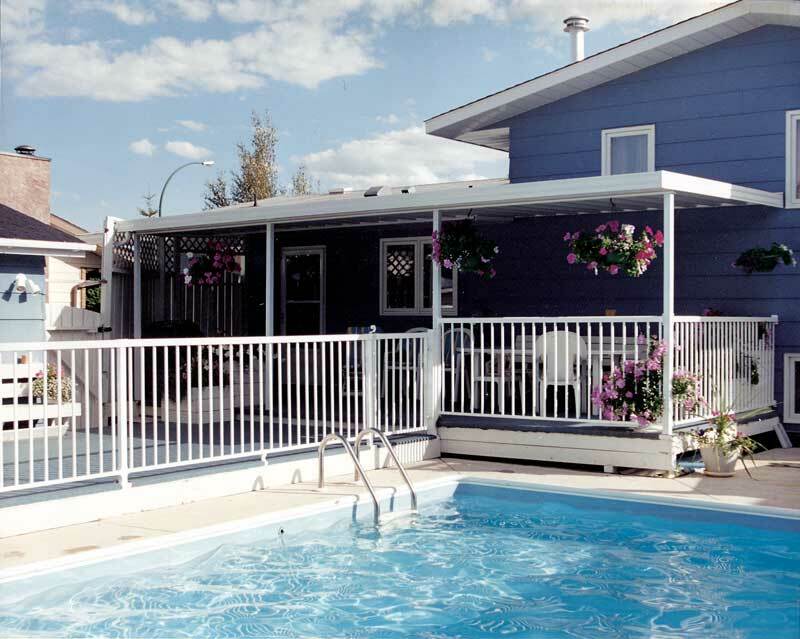 All patio covers are engineered to meet Saskatchewan snow load requirements. Professionally installed by our own fully trained employees.